P Quality Machine Parts Co.,Ltd. Received the THE Bronze Award of PDS (Production of Daikin System) 2018 with DAIKIN COMPRESSOR INDUSTRIES LTD. On March 22, 2019 at the "PDS VENDER AWARD 2018"
Mr.Pattanasak Saensomros Managing Director of P Quality Machine Parts Co.,Ltd. 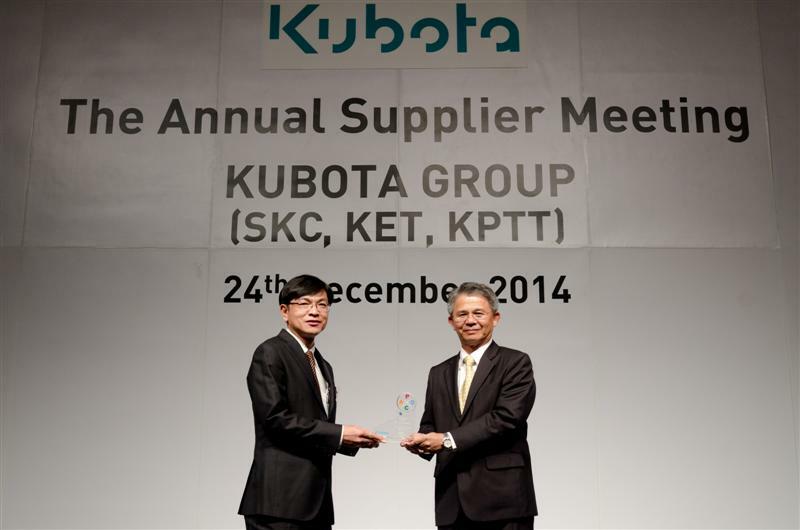 Received the THE WINNER from IQIA ACTIVITY 2018 with MR. KOTA KIMACHI IHI TURBO (THAILAND) CO., LTD. On March 22, 2019 at the "ITT Y2019 Supplier Meeting"
Mr.Pattanasak Saensomros, Managing Director of P Quality Machine Parts Co., Ltd., Welcomed the delegation from Siam Kubota Corporation Limited to visit the results of the SKC Delivery Kaizen Award 2018. on December 12, 2018. Mr.Pattanasak Saensomros, Managing Director of P Quality Machine Parts Co., Ltd., presided over the ceremony to thank staff at Suraobangkasee School. on November 24, 2018. Mr.Pattanasak Saensomros, Managing Director of P Quality Machine Parts Co., Ltd., presided over the opening ceremony of PQM SPOSRT DAY 2018 at Suraobangkasee School on November 24, 2018. Mr.Pattanasak Saensomros, Managing Director of P Quality Machine Parts Co., Ltd. Welcome the visiting delegation from Kochi. Japan by Kochi Industrial Promotion in Japan , Kochi Industry Promotion Association in Japan , Thailand Industry Promotion. and Thai Subcontracting Promotion Association. The company offers products. The production company. Including visits production In the factory, production line, testing laboratory on November 23, 2018. Mr.Pattanasak Saensomros, Managing Director of P Quality Machine Parts Co., Ltd. welcomed the delegation KAKIUCHI Co., Ltd from Japan, Mr.Masatsuna Uka, Mr.Masayuki Hamada, Mr.Nobumichi Arimistu and Mr.Wataru Taniuchi. On the occasion of November 16, 2018, Mr.Pattanasak Saensomros and Subcon Thailand visited KAKIUCHI Co., Ltd., Kochi In Japan for the second time. on November 22, 2018. P Quality Machine Parts Co.,Ltd. To the Ban Sabai Ceremony of bilateral staff This is a morale boost for all binary employees on October 20, 2016. Mr.Pattanasak Saensomros, Managing Director of P Quality Machine Parts Co., Ltd. Welcomed the delegation Mr.Fumio Iwashita President and Ms.Porapar Wichai (Buyer) of KUBOTA Engine (Thailand) Co.,Ltd. visit Kaizen Activity 2018 on October 17, 2018. P Quality Machine Parts Co., Ltd. welcomed the delegation from SIAM KUBOTA Corporation Co., Ltd. Before the decision on the "SKCA DELIVERY KAIZEN AWARD"
P Quality Machine Parts Co., Ltd. has organized fire drills and fire evacuation events in 2018 with firefighters. From the management of Bang Sao Thong. Educate employees and prepare for a fire accident on August 25, 2018. THAI SUZUKI MOTOR CO., LTD. Opened a motorcycle exhibition booth at P Quality Machine Parts Co., Ltd. Get close And can be easily owned on 9-10 August 2018. P Quality Machine Parts Co., Ltd. by Mr.Pattanasak Saensomros, Managing Director Bring the candle to the blessing of the voice "Tha Praeng" loudly at Tarida Grandview Hotel and Resort, Nakhon Nayok. On July 28, 2018. P Quality Machine Parts Co., Ltd. by Mr.Pattanasak Saensomros, Managing Director As President of "PQM WALK RALLY 2018" on July 28th at Tarida Grandview Hotel and Resort, Nakhon Nayok. P Quality Machine Parts Co., Ltd. welcomed the delegation from SIAM KUBOTA Corporation Co., Ltd. Prepare for the "SKCA DELIVERY KAIZEN AWARD" event in 2016 on June 16, 2018. 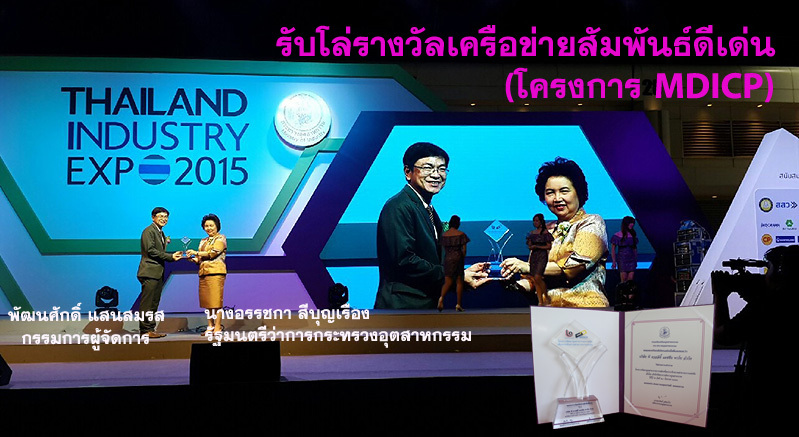 P Quality Machine Parts Co., Ltd. Study on the establishment of Kaengkrai Vocational College. Chaiyaphum Province on June 15, 2018. Ban Sabai Ceremony OF P Quality Machine Parts Co., Ltd.
P Quality Machine Parts Co., Ltd. by Mr.Pattanasak Saensomros, Managing Director Identify the hazards of cigarettes and the health of smokers. Including those who do not smoke but need to smoke. The event on the World No Tobacco Day. welcomed the delegation from SIAM KUBOTA Corporation Co., Ltd. 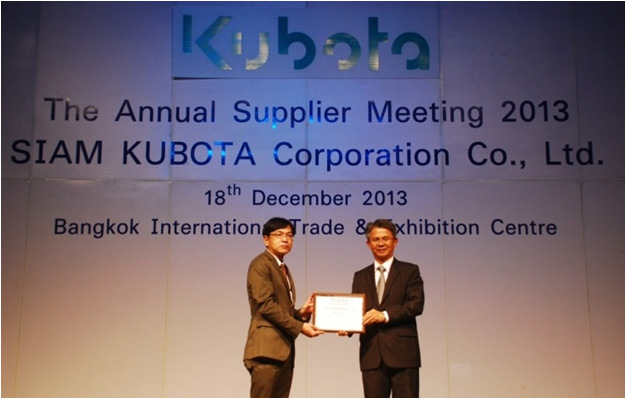 Prepare for the "SKCA DELIVERY KAIZEN AWARD"
P Quality Machine Parts Co., Ltd. together with Bang Sao Thong Police Station. Provide urine for all employees. P Quality Machine Parts Co., Ltd., Employees join in the tradition of Songkran Festival.welcome the New Year's Day of Thailand 2018. Thai Suzuki Motor Co., Ltd. Visited the factory on March 27, 2018. 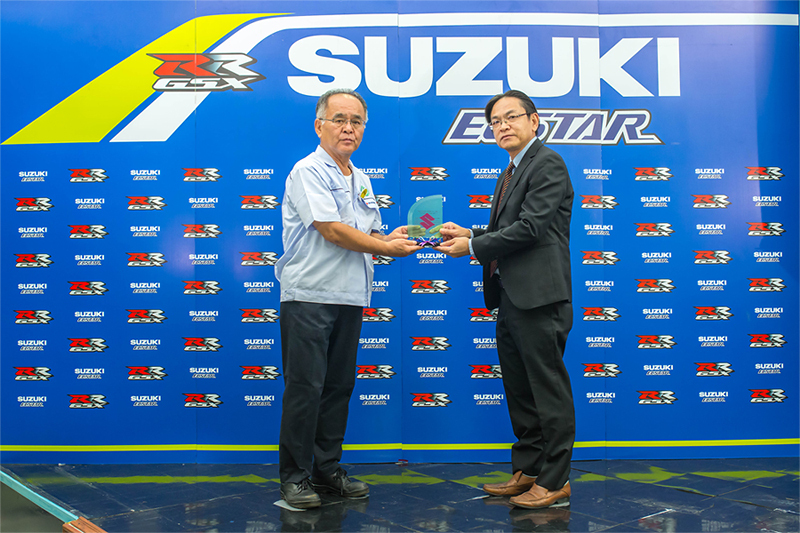 P Quality Machine Parts Co., Ltd. by Mr. Pattanasak Saensomros, Managing Director, received the "Best of Quality Award 2017" from Thai Suzuki Motor Co., Ltd.
P Quality Machine Parts Co., Ltd. Received plaque of honor from Kumphawapi Vocational College on February 26-27, 2018. P Quality Machine Parts Ltd. operates its business prioritizing operation under the environment management system ISO 14001:2015, occupational sanitary and safety also responsibility for society including the community, associated organizations and state officers, highly concerning affects to the environment. To satisfy our customers with punctuality, quality, good service mind, development to lower costs and raise value for the product.